An Obituary for Close Reading - Dave Stuart Jr. Even students mourn the death of close reading. Close reading, one of the most ubiquitous terms of the Common Core literacy era, passed away yesterday evening. Ironically, its death is mourned by the very teachers (myself included), administrators, coaches, consultants, and authors who killed it through overuse. In its final hours, close reading lay on its deathbed and reflected on its meteoric rise to stardom and similarly rapid decline to death, content in the knowledge that in classrooms, blogospheres, publishing houses, and convention centers around the nation, its name would live on, even if not its actual meaning. In its final moments, close reading asked that those who mourn it devote themselves to studying the cause of its sudden demise, a disease known as buzzwordification. Some doctors believe close reading's fate as a buzzwordification casualty was solidified at the time the standards were drafted; others claim it was when entire books (and gargantuan blog posts [<– that links to my own blog post! *Pokes fun at self*]) began devoting themselves to close reading, most notably Notice and Note: Strategies for Close Reading, and close reading's personal favorite, Falling in Love with Close Reading: Lessons for Analyzing Texts–and Life. All of these sources and hundreds more elevated close reading from being an academic term to being something like a transcendent demigod. Indeed, transcendent is the perfect adjective for close reading. At the height of its battle with buzzwordification, close reading meant something different to every mouth that uttered it; to some, it was simply re-reading a text, while to others, it was “marking up” the text; some preferred close reading with lenses, while others did it with signposts; and while some sought to limit close reading to words on a page or a screen, others applied it to things as diverse as video games, conversations with friends, and even life itself. In its final stages, buzzwordification dispatches its victims when the connotative scope of a term becomes impossibly broad, rendering accurate, meaningful communication with the word improbable (for an example apart from close reading, consider the edu-term “essential question,” which passed away when it became synonymous with simply writing words on a whiteboard each day and placing a question mark at the end of the words). Although nearly all cases of buzzwordification have thus far proven terminal (the only exceptions being those cases in which the term went into a nearly comatose, dormant stage for decades or more), doctors are optimistic that a cure is possible. First, doctors are quick to point out that simply hating all buzzwords — as many veteran educators are wont to do — does not cure buzzwordification, nor is it in the best interest of students. Indeed, in the case of close reading, the basic practice of intensively grappling with a text needs always to be a part of the literacy classroom, and this means teachers must develop the ability to instruct students in this practice. Secondly, administrators must be careful not to give bonus points, consciously or otherwise, to educators who use buzzwords fluently. What matters in student achievement has much less to do with the label applied to an instructional practice than the instructional practice itself. 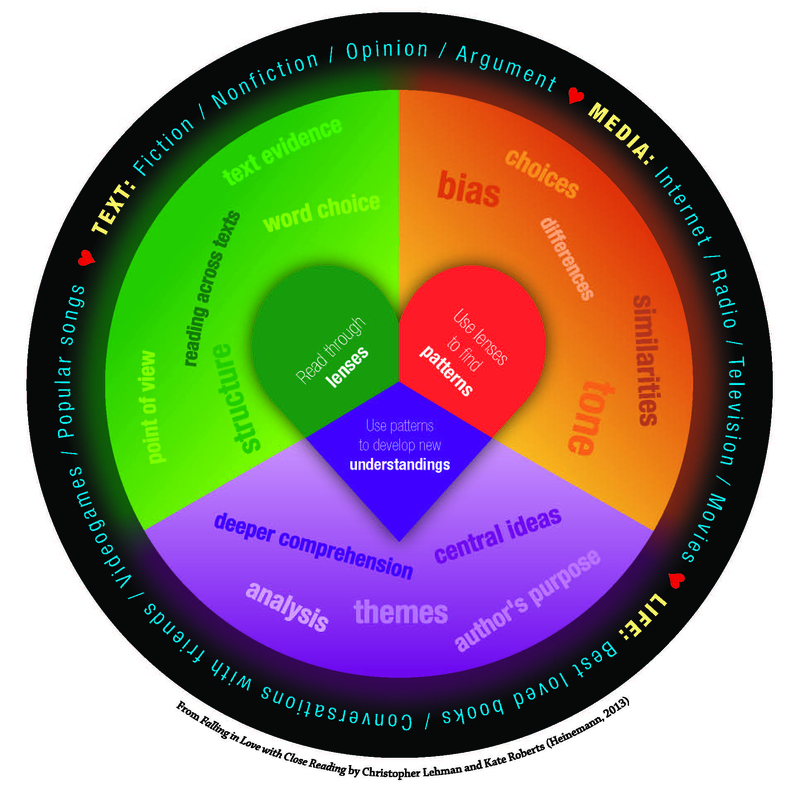 In the case of close reading, does the teacher model higher-order reading for kids? Does he or she show wisdom in intentionally choosing appropriately complex texts for close examination? The answers to simple questions like these should be the basis for evaluative points. Finally, buzzwordification will only cease to plague education when all of us learn to laugh at ourselves once in awhile 🙂 I pray this post is received in the light-hearted nature in which it was written, and that together we can continue our pursuit of what matters most in teaching kids to flourish in the long-term. I hope you're having a good summer so far. Much love to you, colleagues. PS. If you would like to add anything to this obituary or create one for another victim of buzzwordification, please leave a comment below. I would love to read your obituary for “text-dependent questions” as that phrase is NOT even included anywhere in the CCR anchor or grade level standards! Fran, that would be a good one! I’m guessing that stems from EngageNY’s “text-based questions” shift, maybe? Wherever it comes from, you are right! I’d like to see the word “inclusion” receive a death sentence. Why is it that some kids need “permission” (an IEP) to be “included” with their peers?? Preach it, Megan! Write that obituary! I know you said not to freak out, but I did when I was told I needed to change how (along with what) I taught to make sure we did close reading. Silly me. All I had to do was stop calling everything “literary analysis” and start using the right buzzword. Yep — you got it! Gotta speak the language, Marge! Even scarier: someone with the authority to tell you such was clueless about what you do in your classroom; urgh. I cringe at the teachers in training videos who say, “Today we are going to do close reading.” Is it really too much to ask that teachers model precision in language and habits of mind? How about, “Read this piece more closely…”? Seeing teacher after teacher in numerous videos say “do” close reading makes me wonder if our profession will ever rise above compliance level practice and enter into authentic relationships with students and curriculum for a greater purpose than observance of the “activity du jour”. Susan, you are so right — and also so convicting. I’m pretty sure I did the “do a close reading” thing multiple times. I wonder, with you, if we’ll rise out of the muck of compliance level practice — it’s going to take thoughtful, honest, habitual inspection of how we talk and teach. I don’t want to get too philosophical here, but language is knowledge. I believe that when my practice is firmly grounded in relationships among teacher-text-students, the “doing” comes naturally. Of course we are going to read more closely because it’s how we interact with each other, the text and I–the students and I–the students and the text. We speak to each other, and that involves some pointed moments of reading, asking questions, discussing, etc. The sum of learning should be greater than its parts, and drawing attention to the parts seems to detract from their power to enlarge. That is pretty philosophical! My observations of students (granted, they are limited by both my experience and my biases) seem to suggest that students need and appreciate me breaking things down into parts. I do agree that the sum of learning should be greater than its parts, however — just not that drawing attention to the parts is deleterious to that greater aim. Love this article and I couldn’t agree more!! Your sarcasm and tongue and cheek humor is terrific! I would like to see an obit for “doing STEM, STEAM or STEML”! Please forgive me, but effective teachers of math, science, art, engineering, technology, & literacy have always used good pedagogy! Do we really need an acronym to teach any better?!?! Loved this. Could we also have an ending to the term intentional. Anither common phrase this year was that our PLCs and lessons must be focused and intentional. Really!?! As if we aren’t intentional in reaching a goal when they’re planned? Glad for summer! Toni, I completely believe what you’re saying. I wonder, though, if part of the problem of this lack of intentionality is that we have gotten away from clearly communicating, again and again, what it is that our schools/courses/grade levels should be aiming at, beyond something as mind-numbing as a test score at the end of the year? I cannot imagine how frustrating it must be for you to grapple with the widespread confusion and dismay and dysfunction out there. Godspeed as you continue your journey! It is very sad when what we post on our walls and boards matters more than what comes out of our mouths. My late father was a school principal for 40 years — he said that any administrator worth his/her salt could tell within ten minutes if substantive teaching was happening in any classroom. Today, in my district, the evaluation form for teachers is pages long, and still covers mainly superficial topics. Rachel, you are right — it is sad when superficial checklist items win out over the holistic picture that makes “substantive teaching.” We have to fight for the soul of teaching. Observable checklist items aren’t bad — it’s just that we can’t be married to them. Legalism kills the heart of the law. Great administrators will think beyond the evaluation form and still be like your dad, even in today’s increasingly toxic edu-environment. Kate, you just blew my mind — I’ve never heard of half of those Ls. You hit on one of my most common refrains in my classroom, in my school, in my workshops: we have to know where in the heck we are going; we have to accept that we will never achieve what we cannot even cogently define. Administrators need to redundantly and explicitly define what success as a school looks like. I vote for aiming at promoting the long-term flourishing of kids — create assessments backwards from that goal. Kate Brown, your comments on the plethora of “literacies” are spot on! My own school district now explicitly includes directives that teachers need to address almost all of the “literacies” you mention — specifically digital literacy, visual literacy, numeric literacy, financial literacy, and media literacy — but nowhere are these “literacies” explicitly defined! Just another way for bureaucrats and administrators to demonstrate that they are on top of educational needs. Sigh. Rachel (and everyone who is reading this), do you watch “House of Cards” starring Kevin Spacey? It’s the story of Frank Underwood (Spacey), a Democrat from South Carolina’s 5th congressional district and the House Majority Whip, who, after getting passed over for a “sure” appointment as Secretary of State by his close friend and buddy, the newly-elected president, decides to exact his revenge on those who betrayed him. I’m just at Season 1, Episode 5 and at the moment, the Honorable Representative from the venerable state of South Carolina is creating a new federal education policy to “help out his good friend,” the president, and the president of the country’s largest teachers union is … well, I’ll let you see how all that goes down for yourself. .
As the credits say, it’s not true, but it’s darn sure based on enough that we do know to be true to be a frightening eye-opener to the way things might happen! Gotta give it a look, folks! Kate, that is a great, disturbing show. Kevin Spacey is awesome in it. Lots of food for thought there, too, as you say! I love this article! I am sharing with my colleagues in educational publishing. Our wholesalers and distributors encourage the use of these buzzwords in marketing materials and seem to feel the buzzwords are more ˆmportant than even explaining the content of a book. Reagan, the saleable nature of buzzwords are a leading cause of buzzwordification’s high mortality rate, I think. Thank you for caring enough to read this post! I would love to hear more about your perspective as someone in the edupub world — it’s got to be a constant struggle finding the balance between creating material that will sell and actually creating stuff that’s truly useful and valuable. I would like to add the word “rigor” to the obituary. So many have defined it in different ways, it no longer means anything. The principal asks, “Does your lesson have enough rigor? Well, that depends. Would you like to know the cognitive level as per Bloom’s or Webb’s, the authenticity of the task, the level of personalized differentiation, the amount of independence involved, the written element, the vocabulary involved, the text lexile level, the type of stem questions, the assessment value, the creative problem solving required, the synthesis of common core standards, the amount the student struggles, or how may parents call to voice concerns about the assignment? Adrianna, your comment on “rigor” went right to my heart. I too have heard this buzzword applied to everything and every subject, but it has never been explicitly defined. At my school teachers are expected to incorporate every point you mentioned in every assignment/lesson — while keeping parents content and comfortable! Your post was a welcome reminder that my friends and I aren’t the only ones struggling with unrealistic expectations. It is truly nationwide, Rachel/Adrianna. This is why we have to resist the freak-out — if we take these things too seriously (buzzwords, etc), we will go crazy, and our kids will, too. At the end of the day: Are they learning? Could they be learning more? Am I helping them prepare for a flourishing future? These are my basic questions as a teacher. Loved your comment! I was recently asked by a local district to do a one day PD session on “rigor.” Of course it took several conversations to discover what they meant by that and what they really wanted. It was frustrating to say the least. Everybody wants rigor, but nobody knows what it is! I always thought “rigor” sounded like something that needs a prescription-strength antibiotic. I believe you mentioned Close Reading’s cousin in the penultimate full paragraph of the obituary, that is to say, Higher Order. The favorite child of Bloom’s taxonomy, Higher Order took its place many steps above its ugly step-siblings: Remember, and Understand being the least favorites, unworthy of consideration in many classroom objectives. Both Remember and Understand have long been the first playmates of many students, even though they were hard to get along with. May we add “fidelity” to the list? We are endlessly encouraged to implement this program and that program with fidelity. Shouldn’t someone check the meaning of the word fidelity? Yeah, I’d say we have a problem when the term means “the degree of exactness with which something is copied or reproduced.” When teaching becomes something we think we can copy or reproduce with exactness, it might not be teaching anymore! Just wanted to make clear, in case anyone didn’t pick up on it, that this post wasn’t intended as negative, but rather as light-hearted. If you want to see what it reads like when a guy has to digitally place his foot in his mouth, check this out. I re-read this again (not very closely, mind you) now that “grit” has replaced “close reading” as the hot new thing. Best advice ever: “What matters in student achievement has much less to do with the label applied to an instructional practice than the instructional practice itself.” Thanks, Dave!